Chris Brown may have gone through a few PR fiascos, but were not here to talk about that. Today, we're more interested in his style choices over the past couple years. As you may know, Breezy has been a target for a couple of our WTFYW segments. Two prior offenses include his equestrian steez and tunic lengthed, prayer inspired outfit. However, he always looks fresh when he sticks to streetwear. 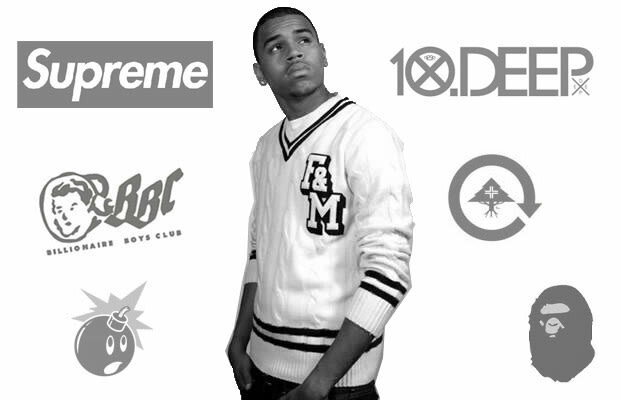 We prefer it when he rocks brands like Supreme, 10.Deep, and BAPE. So to make-up for all the times we've made fun of his style, we bring the fans a gallery of Chris Brown’s Streetwear Co-Signs.